On July 26, 2010, during the 2010 EAA AirVenture, Cessna announced a new special edition Cessna Citation Mustang called the Cessna Citation Mustang High Sierra Edition. The Cessna Citation Mustang High Sierra Edition was created by Cessna to celebrate the 300th delivery of the Cessna Citation Mustang. 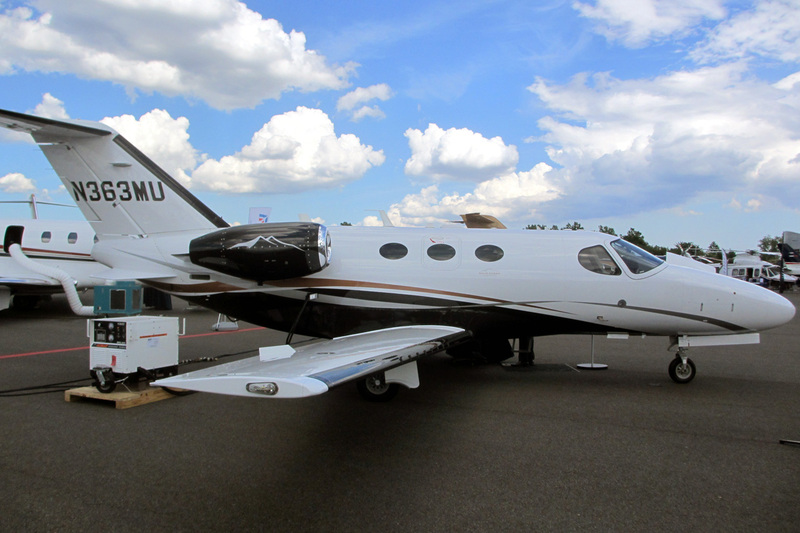 The Cessna Citation Mustang High Sierra Edition is basically an Citation Mustang with an special interior/exterior design options and standard Synthetic Vision Technology SVT for the Garmin G1000, electronic charts and locking fuel caps. Cessna also says that Citation Mustang High Sierra Edition owners will get unique service and parts programs as part of their purchase of a Cessna Citation Mustang High Sierra Edition. 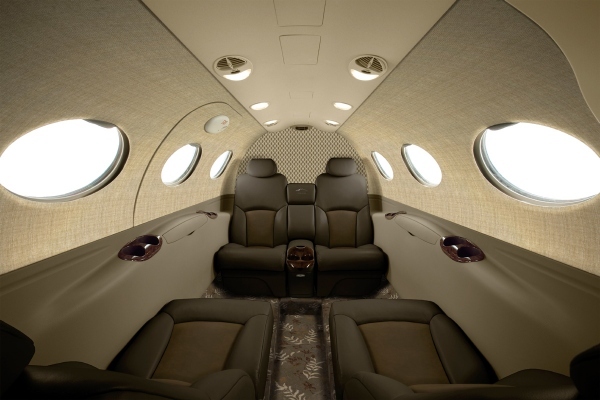 Cessna is reporting that the Citation Mustang High Sierra Edition Price is just over $3,000,000 USD. The Actual price is in the $3,100,000 to $3,200,000 range. Cessna only has one paint scheme for the Cessna Citation Mustang High Sierra Edition. The paint scheme is white with Dark Saddle (Light Brown) and Titanium (Silver) accent stripes and a Sable Effect (Black) underbody paint. The Cessna Citation Mustang High Sierra Edition is a limited edition version and will only be offered for a "limited time" from Cessna. Above Cessna Citation Mustang High Sierra Edition Exterior Photo by Jetrequest.com on Wikimedia Commons. Photo released under a Creative Commons License. Above Cessna Citation Mustang High Sierra Edition Photo (Smoky Quartz Interior) from Cessna's High Sierra Edition Press Release. Copyright Cessna Aircraft Company. Cessna Citation Mustang High Sierra Edition is also known as Citation Mustang High Sierra Edition, Cessna Mustang High Sierra Edition, C510 High Sierra Edition, Cessna 510 High Sierra Edition, CE-510 High Sierra Edition, Citation Mustang Very Light Jet High Sierra Edition, Cessna Citation Mustang Aircraft High Sierra Edition, Cessna Citation Mustang Jet High Sierra Edition and the Cessna Citation Mustang VLJ High Sierra Edition.